Visiting the city of Bath, England and want a Stonehenge Tour? 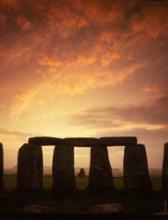 Historical tours of Stonehenge and Avebury Stone Circle with expert guides. Collection by private car or mini bus from your Bath hotel. Ideal for families and groups. See the West of England‘s best loved sights – the wonder of Stonehenge and Avebury, the glorious Cotswolds, castles & gardens on our day tours from Bath in a private car or minibus. We offer half and full day tours and can also arrange special access tours at Stonehenge. In the evening at sunset after Stonehenge is closed to the public, or at sunrise before it is open, we can arrange for you to visit this awe-inspiring prehistoric monument and walk among the giant sarsen stones. Explore the World Heritage Site of Avebury Stone Circle. View Silbury Hill, the largest prehistoric monumment in Europe. Explore Durrington Walls, Woodhenge and the prehistoric landscape of Stonehenge. Do a tower tour at Salisbury Cathedral and see Magna Carta. Join one of our fixed itineraries or tailor your own. Your Gateway to the West Country. We can also collect you from London, Salisbury or Southampton Docks and this is a great wat to maximisee your sightseeing. Some clients prefer to travel by train to Bath from London. Our local guides will be happy to meet you at Bath’s train station with a personalised name-board. This method of travel to Bath is suitable if you would like to spend the entire day in the city and not travel in the surrounding countryside. If you would like to incorporate countryside and other historic sights en-route then it is wise to choose our flexible chauffeur guided service. Please visit our website and contact us for a quote.